Setting up a workable backup and disaster recovery policy is a complex job for the IT team in organizations having Remote Office/Branch Office (ROBO) deployments. Every branch offices might not be equipped with required backup infrastructure and IT resources. Vembu BDR Suite’s in-built WAN optimization helps to keep backup data at both local and remote offices. 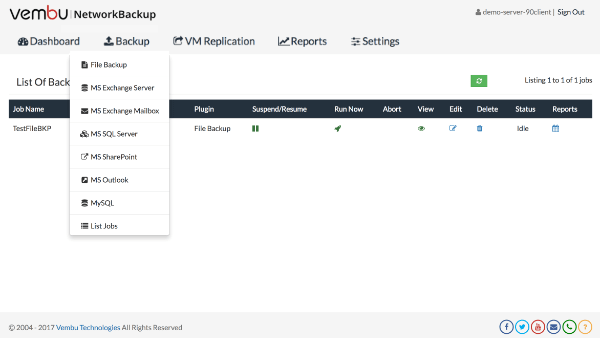 Vembu BDR Suite backs up the VMs, physical machines, applications and data to the local storage targets and replicate the backup copy to remote location. 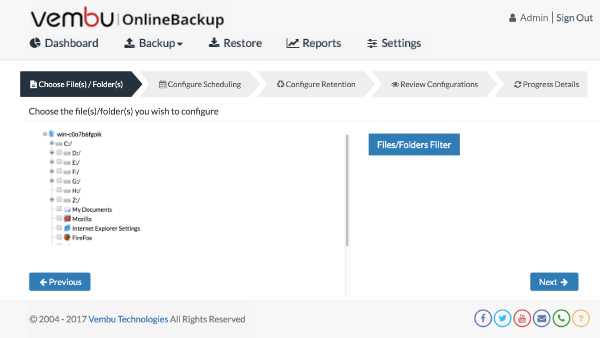 Backup individual applications such as Microsoft Exchange Server and Mailboxes, SQL databases, SharePoint sites, System State, Registry and MySQL database. 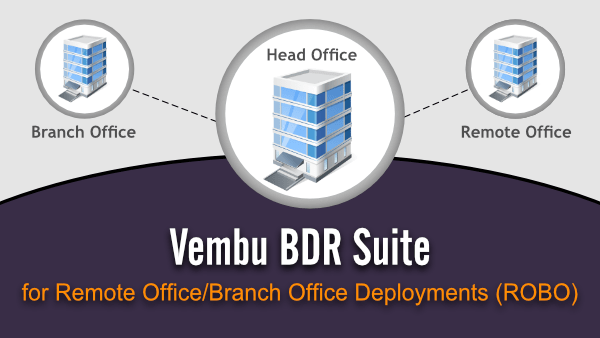 Vembu BDR Suite is designed to be flexible to your deployment needs. 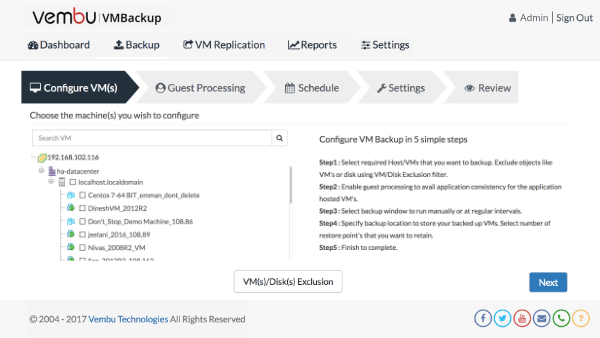 Vembu BDR offers simplified deployment options to fit every ROBO backup scenario. Deploy the BDR backup server at your each branch offices and backup the data locally. 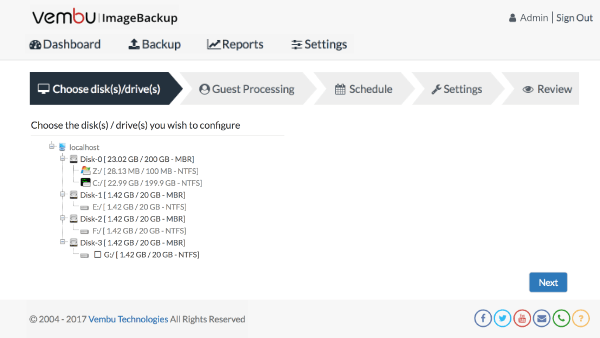 Then replicate the backup data to your offsite/remote office. So, here your remote office acts as DR site. 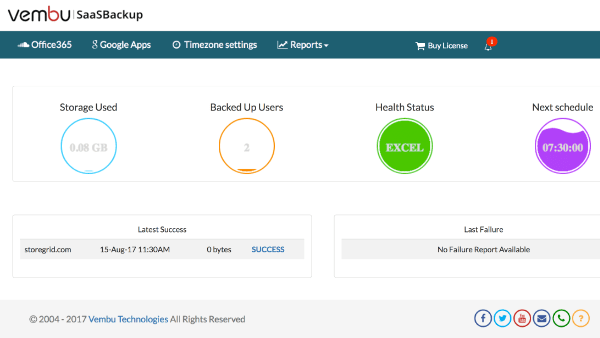 The primary data on each office site can be used for instant recovery during system failure or minor failures and data on remote site can help you recover the entire site on remote office during entire site disaster.